Urbanest Student Accommodation’s £42 million project at 5 Miles Street has seen Walsh overcome a number of challenges including a very small site, sensitive settlement requirements and a tight construction programme. 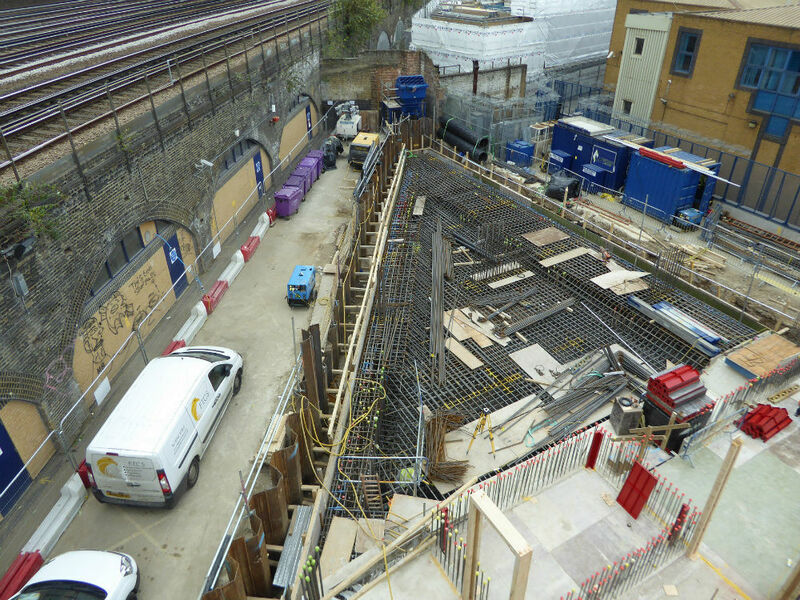 The combination of the restricted 1000m2 triangular site next to a Network Rail viaduct and several existing buildings, plus the deadline to commence work, meant that it was not possible to undertake a pile load test to reduce the design factor of safety. Without such a test the contractor could only achieve the loads by using 1200mm piles, but the rig would have been too big for the site. 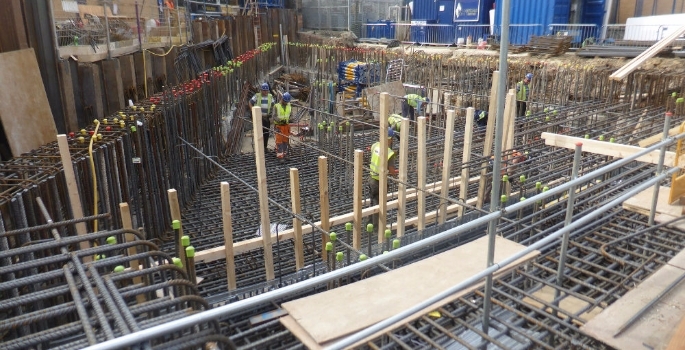 Working with geotechnical consultants CGL, Walsh devised an approach to reduce the foundation loads by designing a lean concrete frame and supporting it with a piled raft, utilising high and deep level ground support capacities to limit deflections supporting the 33 storey, 454 unit building. Elsewhere, as well as Walsh designing the core to be slip formed, the drainage was placed on top to shorten the design time required, allowing the construction of the foundation before the drainage scheme was fixed, while water attenuation pipes were used instead of the typical attenuation tanks. Appointed as full service structural and civil engineers, Walsh has undertaken the Network Rail liaison and negotiated all necessary technical approvals. This has included obtaining approvals for all permanent structures and major temporary work systems such as the slip form rig and a RMD screen which was incorporated within the piled raft, as the collapse radius of the crane fell within Network Rail operational land. Construction on 5 Miles Street started in July 2016 and is due to finish at the end of 2017.